When a house has been properly ventilated, a positive airflow is created which allows the house to breathe and helps prevent moisture buildup. That's why proper attic ventilation is a serious issue that should always be considered when re- roofing your home. VentilationNormal household activities can wreak havoc on an attic and ultimately, a roof. Summer heat buildup in the attic promotes premature aging and cracking of wood and roofing materials. All of these could shorten roof life. 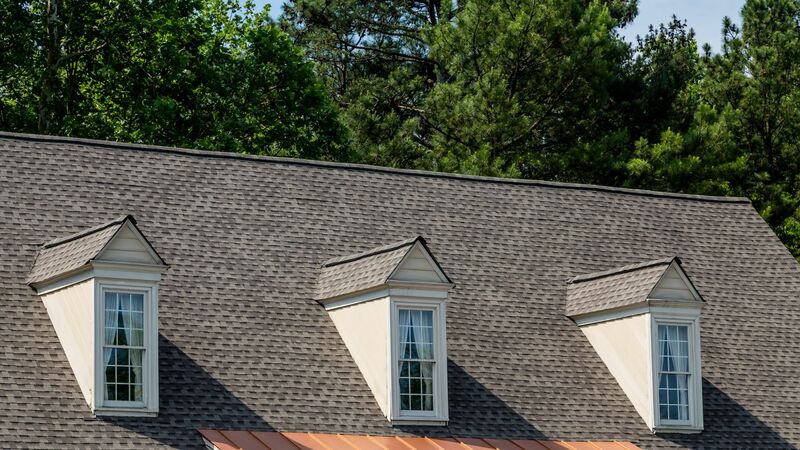 For maximum roof protection, a well-ventilated attic is the key. In addition, in warm weather proper ventilation prevents the attic from becoming a hot box that spills unwanted heat down through the attic floor into the living area (even if the attic is insulated). Showers, laundry, dishwashing and cooking all generate moisture that can damage insulation, rafters, wood deck, underlayment and shingles during winter. Proper ventilation helps prevent moisture from condensing on the insulation, structural wood, shingles or roof deck. Moisture-soaked insulation becomes ineffective, thereby causing excess energy usage. Condensation on wood leads to rotting and expensive repairs. While those are the most important reasons for proper ventilation, they aren't the only ones. Excess attic heat causes premature shingle failure and can invalidate the shingle warranty. Excess moisture in the home causes mildew and drywall damage. Moisture problems can cause paint to peel and siding to warp. Balanced airflow keeps attic temperatures from reaching extremes. Vents allow outside air to move through the attic. The result is a cooler, drier attic, which means a longer lasting roof and in all probability lower energy costs. What's the solution to gain proper ventilation?